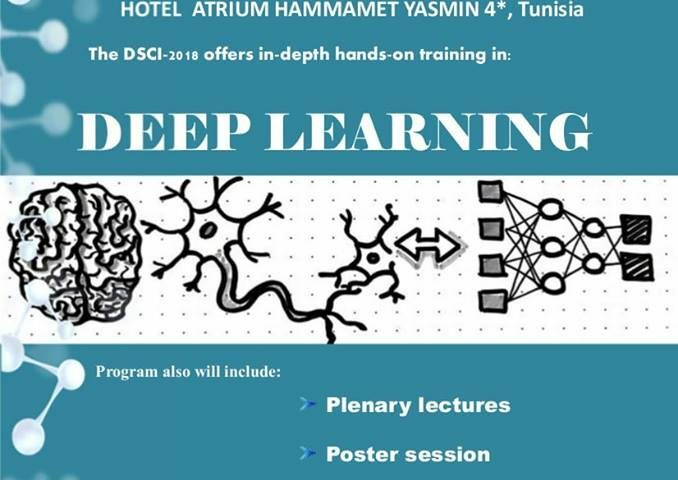 The DSCI-2018 offers in-depth, hands-on training in deep learning. The Program includes plenary lectures, poster sessions, doctoral sessions, 3-minutes thesis competition and the DSCI data mining challenge. On behalf of the Organizing Committee, we warmly welcome you to Hammamet and look forward to your participation in this symposium from 22 to 24 December 2018.